Most people go to a clinic for their everyday health needs, whether it’s corporate-owned or provider-owned. 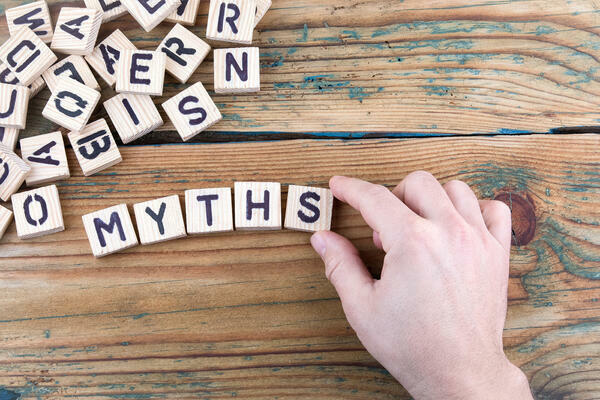 Unfortunately, there are many different perceptions about independent clinics over that of hospital-affiliated clinics, and we’re here to debunk common myths that surround them. Myth 1: Independent Clinics Are Similar To Emergency Rooms. Truth 1: Most people tend to associate emergency rooms with urgent care centers located within a hospital, but they are entirely different, especially in regards to independent clinics. Below, we breakdown the difference between emergency rooms/hospitals, urgent care clinics, independent clinics, and express care clinics. Hospitals & Emergency Rooms: Treat emergencies (heart attack, stroke, etc.). Urgent Care Centers: Treat less serious illness and situations (sprains, ear infections, headaches, etc.). Independent Clinics: Treat a mix of acute illnesses and injuries while also treating specialty care situations (minor infections, radiology, internal medicine, family medicine, etc.). Express Care Centers: Treat minor conditions and situations (coughs, colds, etc.). Note: If you’re in a life-threatening situation, it’s best to call 911 or go directly to an emergency room. Myth 2: Independent Clinics Only Service Primary Care or Family Medicine. Truth 2: North Clinic offers more than just primary family care. There is a wide range of services such as rheumatology, internal medicine, women’s health, and so much more. Take a look at all the services provided at our northwest metro locations. Myth 3: Independent Clinics Are By Appointment Only. Truth 3: Some independent clinics may require patients to make appointments for services, but not all of them are appointment only. North Clinic offers walk-in appointments, similar to that of an urgent care center. Walk-in appointments mean you’ll be treated on the spot for acute injuries and illnesses. Get to know more about our walk-in clinics in our recent blog post. Myth 4: Independent Clinics Don’t Provide Specialty Care Services. Truth 4: Primary care is a common practice that many independent clinics offer their patients, but there are a lot of clinics that are based solely on specialty care—meaning that an independent clinic may only offer a specific service such as podiatry, or it may only be an imagery location dedicated to MRIs, CAT scans, and radiology. At North Clinic, we provide select specialty care along with primary care, which makes us a more well-rounded choice as we’re able to offer more to our patients through internal referrals rather than a reference out of network. Myth 5: Independent Clinics Are Not Confidential. Truth 5: Independent clinics, like North Clinic, must follow strict confidentiality agreements such as being HIPAA compliant. All medical providers and medical companies are subject to regulations by the HIPAA Security Rule which means they have to be compliant in three ways: technical safeguards, physical safeguards, and administrative safeguards. If a clinic does not follow these set of rules, there are severe penalties for violations of patient privacy. It’s incredibly important for there to be trust between a clinic and its’ patients, so health information privacy is especially a top priority for any clinic. Myth 6: Independent Clinics Are Outdated. Truth 6: This is far from the truth, as most independent clinics are up-to-date with the leading technology to accommodate whatever service is needed. Primarily, with the advancement in modern technology, clinics provide a lot more today than they used too. Plus, due to being provider-owned, many clinics can make decisions about updating equipment sooner rather than later, as the approval process isn’t as extensive as that of larger health systems. Myth 7: Independent Clinics Are More Expensive Than Hospitals. Truth 7: On the contrary, clinics are often less expensive than going to an emergency room or a hospital. Hospitals incur many additional costs that you may not notice until a bill arrives, and then you’re scrambling to pay it. Overall, clinics tend to have lower overhead costs compared to larger, corporate options due to removing those added charges. Plus, many clinics are now offering on-site labs and radiology to their patients at reduced costs, so patients don’t have to go to a hospital. Myth 8: Independent Clinics Don’t Accept A Large Number Of Insurance Plans. Truth 8: Similar to hospitals and larger healthcare systems, independent clinics can negotiate contracts and plans with a variety of insurance companies. Most independent clinics will offer a range of providers and health systems for patients, as well as other options for those who are non-insured. At North Clinic, we accept a large selection of insurance carriers, but we recommend checking your plan to see if our clinics cover it. For those non-insured, we also offer PrimaCare Direct, a monthly health membership. Get to know more about our insurance carrier list and our other payment options here. Myth 9: Independent Clinics Don’t Have More Than One Location. Truth 9: While some independent clinics may only have one location due to being a smaller, private practice, some independent clinics are large enough to offer several different sites with various specialty services. At North Clinic, we have five convenient clinic locations that provide multi-specialty services throughout the Twin Cities to cater to those living within the Northwest metro area. Myth 10: Independent Clinics Don’t Offer The Same Level Of Care As A Hospital. Truth 10: Independent clinics hold themselves to the same high standards of professionalism and expertise that traditional systems and hospitals do, but their independent nature allows them to provide an additional layer of care that may not be present at larger providers. Independent clinics pride themselves on strong patient-provider relationships in addition to medical care. At North Clinic, your physician or specialist sees you as a whole person rather than a number on a chart and the level of care you will receive will exceed your expectations. North Clinic is one of the leading Northwest metro area independent clinics for Twin Cities residents. The care that we provide our patients goes far beyond medical needs, as caring has been our tradition and philosophy for over 60 years. Experience the North Clinic family, and know that you’re in good hands for whatever medical need arises. Schedule an appointment today or walk in at our Maple Grove, Osseo, and Plymouth locations for immediate care.